From left to right are Don Wothe, Scott Donley, Rio Grande Fire Chief Bob Brandeberry, Rio Grande Mayor Matt Easter, Tim Hemmerick and Matt Neal. 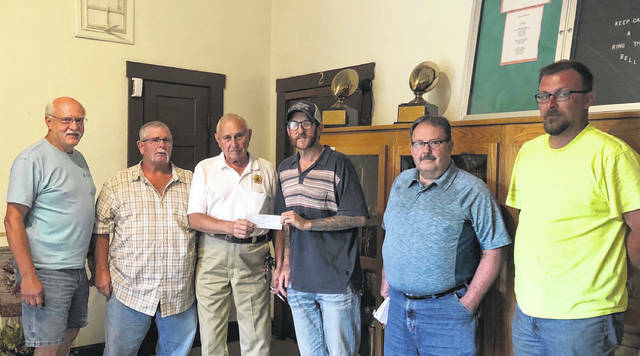 The Rio Grande Fire Department recently made a $10,000 payment on the principal of the loan for the village fire station. The money was brought forth through fundraising efforts.